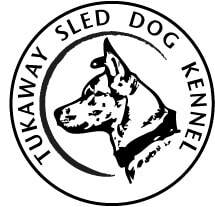 This section goes out to all of the dogs who have helped make Tukaway what it is. These dogs are and will always be some of my best buds, and hold a special place here at Tukaway. Depending on the dog, that could be either on my couch, my floor, my bed, infront of the woodstove, or as an adopted pet to a loving family, or simply an old dog that wont give into the fact they are retired, and they demand on living outside with the rest of the dogs for the rest of their days! Believe it or not, with some dogs it is hard to force them into retirement, born a sled dog, always a sled dog still barking with excitement at the first sight of a pile of harness, haha, but our door is always open! Introducing the reason I got myself into this mess called dog mushing. This is Tuk, aka Tukdog. Many years ago, she became my best bud. I realized pretty quickly there was no controlling this dog. She’s a free spirit who can and needs to run! 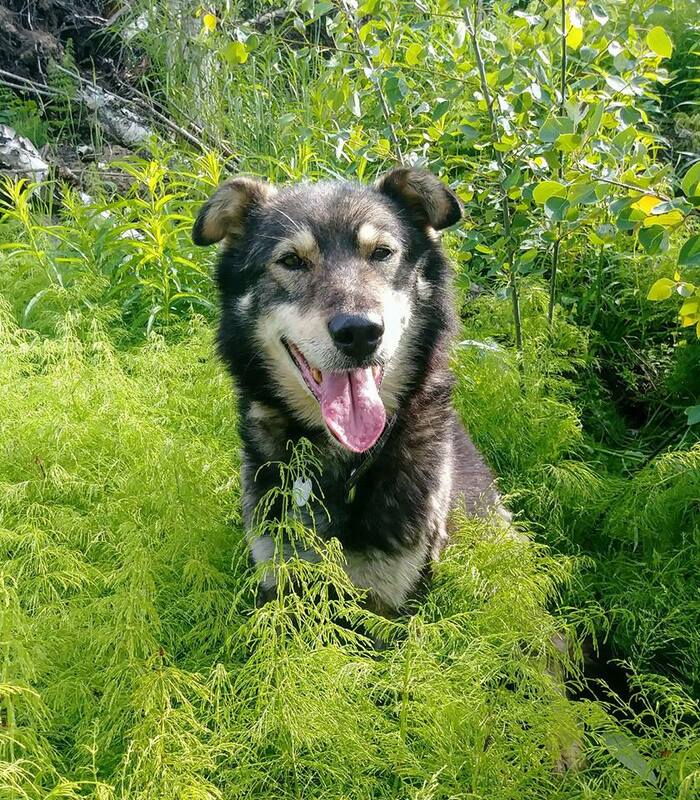 I spent Tuk’s first year chasing her around the woods of Northern Maine and the rugged mountains of New Hampshire only to realize this dog had the same desires as me. To explore the most wild places on the planet. She has taught me that by staying on any obvious path you never get anywhere that others have already gone. I remember the first day I put a harness on her and tied a rope around myself (we’ll call it a harness I guess) and off we went as she pulled me through the woods on cross country skis. This was my first dog powered experience! I guess that was the beginning of one life and maybe the end of another! Either way, this is a very special dog folks. I have known a lot of dogs, but never a dog like this! She has lead me into many adventures and even fought off some wild creature while I was camping out in the open in Northern Maine. This is my dog, my role model, and best bud. 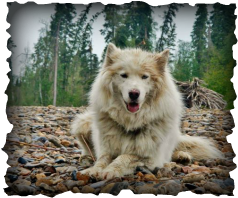 This is the namesake of Tukaway Sled Dog Kennel, Folks this is the amazing Tukdog! Sponsor Tuk for the 2017/18 Race Season! Sponsor Shorty for the 2017/18 Race Season! In his prime, this gentleman was one heck of a lead dog! He gave me a sense of security every time he was at the helm even in the trickiest of situations. 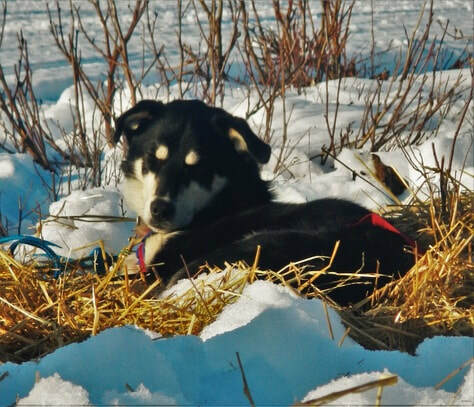 Now you can find Okie wondering the kennel, laying on the floor in the cabin, or occasionally teaching our younger generations of sled dogs how to behave like proper sled dogs! When he was running, he was always stern and proud of his job. 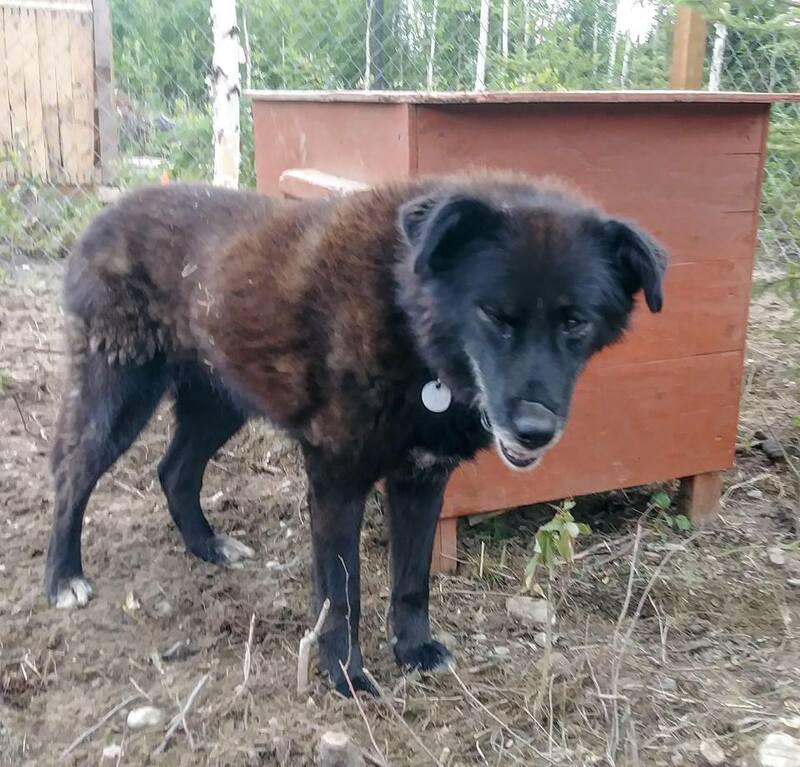 This seriousness has followed through to his retired days, but if you watch close, occasionally you might catch Okie smile and wagging his tail! You have to be patient though, he has a reputation for being no fun and all business in the kennel! Sponsor Okie for the 2018/19 Race Season! Sponsor Wizard for the 2018/19 Season! After a few years, I was reunited with this big boy! 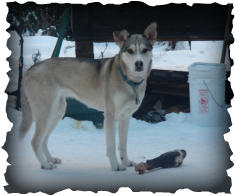 He finished in my Yukon Quest 300 team in 2014 when we finished strong in second place. Since then, this enthusiastic giant has gone on to being on Pete Kaiser’s champion Kuskokwim 300 team which is arguably one of the most competitive 300 mile races in the sport. ​Elroy will be retired from the race team this season, but he will certainly be running with the tour team and training runs. I am also sure he will spend lots of time on the couch this winter because he is an expert snuggler!